Post Kraut Exotica bass music for the forward thinkers and probably one of the first examples, where traditional SE Asian music meets western underground Electronica . Imagine Kraftwerk jammin in a Thai temple with the locals & Moritz von Oswald on the controls and you´re almost there. 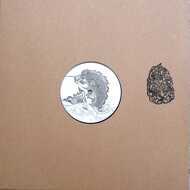 Strictly Limited 12" vinyl (350),no repress. handstamped craft cover, protection inner sleeve, info & label sticker.